You’ve been involved in a car accident, and you’re wondering will an attorney help your case, hurt your case, delay your case? I’m Larry Popp, and I’m a personal injury lawyer in New Jersey. And I want to explore for a moment with you the answer to that question. Very simply put, when you’ve been involved in an accident of any kind and you’ve been contacted by or have been spoken to by the other party’s insurance company or their insurance adjuster, it’s extremely important that you get an attorney. Attorneys do not and will not delay anything in your case. They will not hurt your case. We’re here to protect you. We’re here to protect your interest. And I promise you that insurance companies who contact you after you’ve been involved in some kind of an accident are not there to protect your interest. They are there to protect their money, and they look at you as some person or somebody who can make a claim against their money. They’re not going to part with their money quickly, willingly, or generously. So yes, an attorney in these matters is important. Attorneys do not unnecessarily delay cases, and in fact, do protect your interest and do enhance your ability to receive monies to compensate you for your injuries from the accident. 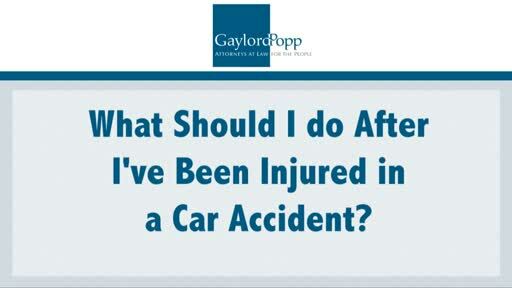 If you have any additional questions I urge you to call 609-771-8611 so that we can discuss your particular questions as a result of your unfortunate accident.